This guide will show you how to unlock and Root the HTC ChaCha so that you can install custom roms as well as Apps that require Root. Thankfully, HTC has decided to include the HTC ChaCha as one of the mobile devices that can be unlocked with their official software. This means that nothing will go wrong unlike others that may require the use of special unauthorized software. Before we begin, I will like to warn everyone that you are liable for your own actions if you intend to proceed with the unlocking and Rooting of your HTC ChaCha. 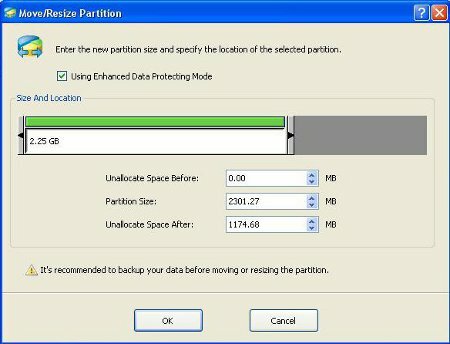 Computertechplace will not be held responsible for any damage to your device after following this guide. I suggest using “Super Backup : SMS & Contacts” app from the Android Market. This app will create a folder in your SD card with a file each for your SMS and Contacts, which means there will be 2 files that you have to copy to your computer or save it somewhere. Choose HTC ChaCha from the drop down menu, after that, click on the green “Begin Unlock Bootloader” button. You will need to create an HTC account first. This can be done on the spot. Remember to check your email because HTC will send you a link to activate your account. You may need to login multiple times at the page. Be patient because the legal terms will disappear if you click on the wrong area of the browser. You will eventually come to a page that describes how to unlock your phone. There is no need to install HTC Sync. It will work too. But if for some reason, your phone is unable to be detected, then install HTCSync. Choose one of the files at the bottom of the page that best fits the continent you are in. If unsure, you can just email HTC. Connect your HTC ChaCha via USB and there is no need to use the HTCSync software Just leave the device in charging mode and it will do just fine. 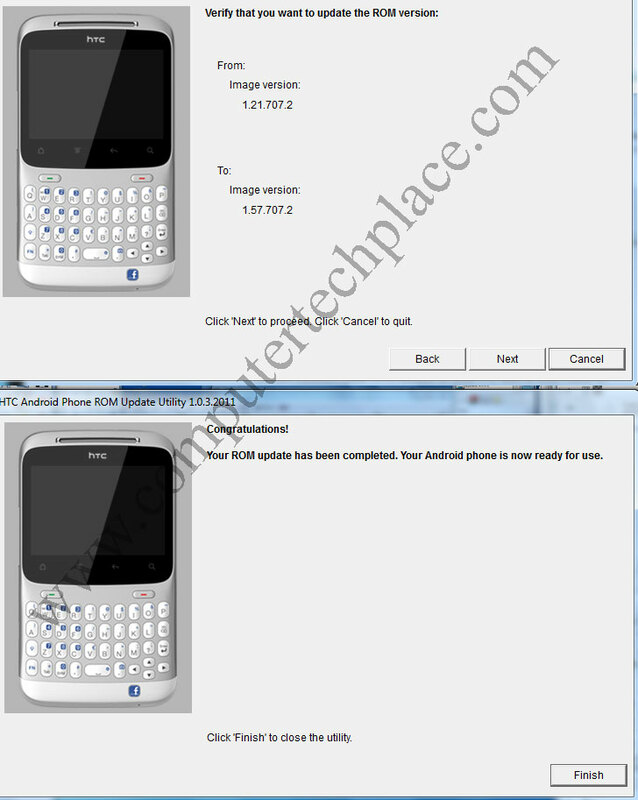 Double click and install the “PH0611000_Chacha_hboot_1.10.0000.exe” This software will not proceed if you have not update your HTC ChaCha’s OS to the latest version. In case you encounter an error that requires you to update your system to the latest version, you will need to update the OS in your phone. Download the ruu_chacha_htc_asia_wwe_1.57.707.2_radio_47.23.35.3033h_7.51.35.19_release_228383_signed.exe and update your device before flashing the “PH0611000_Chacha_hboot_1.10.0000.exe”. To update your device to the latest OS version, make sure that your device is connected via HTCSync and run the ruu_chacha_htc_asia_wwe_1.57.707.2_radio_47.23.35.3033h_7.51.35.19_release_228383_signed.exe. This will flash the device with the latest OS. 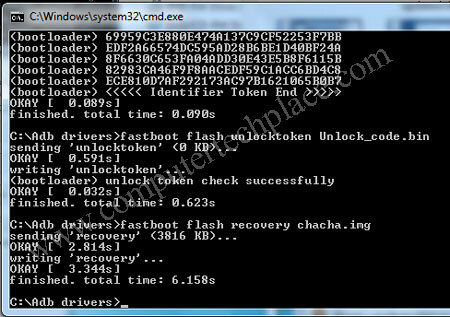 After updating your phone to the latest rom, you should be able to install the PH0611000_Chacha_hboot_1.10.0000.exe with no errors. 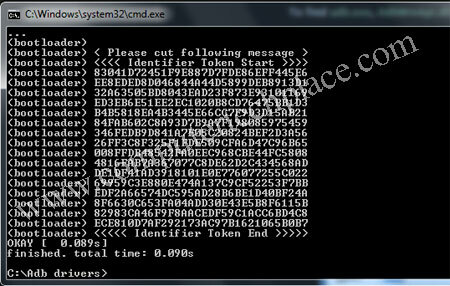 After installing the hboot file, you will need to extract a bunch of codes of your device. Turn off your phone and turn it on again while holding on to the volume down button. You will enter a special boot menu. Use the volume up and down key to navigate and press the power button to enter the option. Go to “Fastboot” and press the power button. At this point in time, the phone should be connected to the PC via USB cable. Download the adb drivers.zip and extract the contents to a folder and put them in C:. Assuming you place the folder and contents correctly, follow the commands below. Press the “Windows Key + R” and type “cmd” without the quotes. Now check your device and you should see a menu asking you if you wish to proceed with unlocking of your device. Use the volume keys to move between the options and hit the power button to enter your selection. After that your device will be unlocked and you can reboot. Unlocking does not mean Rooted. It only means that your device is now “unlocked” to be rooted. The complex stuff are all over, now in order to root your HTC ChaCha, simply connect the phone via USB to your computer, make sure that you enable a few options. 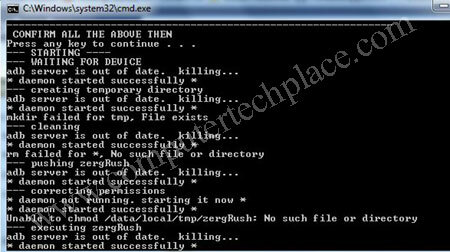 Download the DooMLoRD_v4_ROOT-zergRush-busybox-su program and extract the contents into a folder. You can put them anywhere you like. Double click on the runme.bat and wait for it to be completed. It takes a couple of minutes. I think 5 minutes is the maximum. Congratulations, you have rooted your HTC ChaCha. Remember to connect the device directly and not through a USB hub. You will enter the special boot loader menu. Use the volume up and down keys to navigate and use the power button to enter into the option. Select the “Recovery” option. You will enter the blue screen clockworkmod recovery screen. From the clockwordmod menu, use the volume up and down keys to navigate the menu, move to the “install zip from sdcard” and use the green “call” key of the HTC ChaCha to enter to the next option. Select “choose zip from sdcard”. Use the volume up and down keys to find the su-2.3.6.1-ef-signed.zip. Hit the green “call” button and it will install the superuser app into your phone. After that, you will use the back arrow to return back to the first screen of clockworkmod and reboot. Take note now, the moment you reboot your device the first screen that will pop up will be the Superuser app asking you for permissions to allow it. The app will be quite “cropped” out of screen. But the “Allow” button is the left one and you can still use super nimble fingers to tap the edge of the whatever portion that is exposed on the screen. This will install the Superuser app. After that you will need to go to market place and download the latest version of Superuser app. Run the latest Superuser app and get the updated binaries. Congratulations. Your HTC ChaCha is now rooted. Before you can install any custom roms, you will need to install the Clockwormod. This is a special software created by XDA developers to allow you to manipulate your device. Downlaod the CWM ChaCha and paste it into the adb drivers folder. 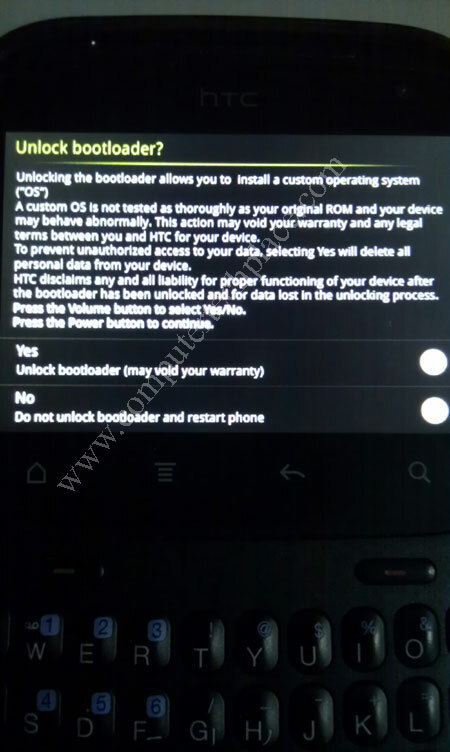 Reboot your HTC ChaCha again and hold on to the volume down button and enter the fastboot menu again. 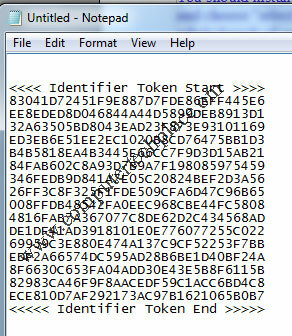 Similarly, key in this command. Bingo, simple as pie. Now you can simply start the recovery by entering the recovery option on this screen. You will get a blue clockworkmod menu. 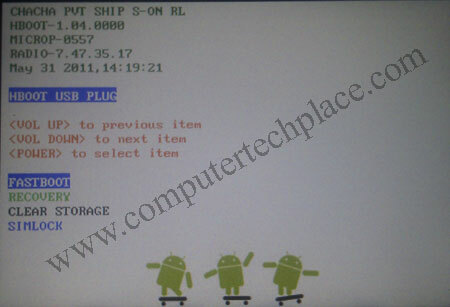 In order to flash any custom rom to your HTC ChaCha, simply download the rom and paste it into your SD card. Then enter this blue clockworkmod menu and use the options to flash the rom across. 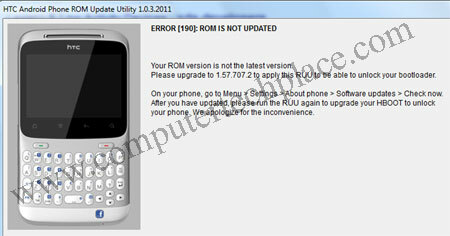 But it is still in the early stages for HTC ChaCha custom roms. I suggest sticking to a rooted stock rom for the time being. Using the clockworkmod menu, use the backup/restore option to backup the whole stock ChaCha rom. The rom will be stored in a folder in your SD card called clockworkmod. Copy that folder and store it somewhere in your computer, or online storage. Next time if you intent to try custom roms and the roms do not suit you perfectly, you can use this backup to restore your original rom back. It will always prompt you that the image is wrong. Flashing of the CWM is not done via the phone. 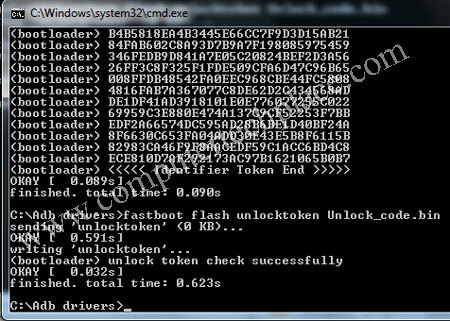 You will need to enter the bootloader, use the volume buttons, choose “fastboot”. Nothing will happen. But actually it is connected to your computer. Then you will need to carry on with Step 2.3 to download the drivers and do the dos commands. The flashing of the CWM.img will have to be done via dos commands. If you receive error message saying invalid image, you might have typed the dos commands in correctly.